Companies prevented from seeking large profits on debts they bought when a government could not pay. France has passed a law to prevent vulture funds or other creditors from seeking large profits on a debt they bought cheaply. The law protects countries in the global South from having their assets seized by creditors who bought debt when they were in, or near default, if the default was less than four years ago, or if two-thirds of holders of the debt have accepted a restructuring. The law only applies to debts bought since the law came into force on 11 December 2016. In 2010 the UK parliament passed a law preventing vulture funds or any other creditor suing one of 40 Heavily Indebted Poor Countries for debts taken out before 2004, and in 2015 the Belgian parliament stopped companies suing for more than they paid for the debt, if they met a set of criteria that showed they were seeking an illegitimate gain. 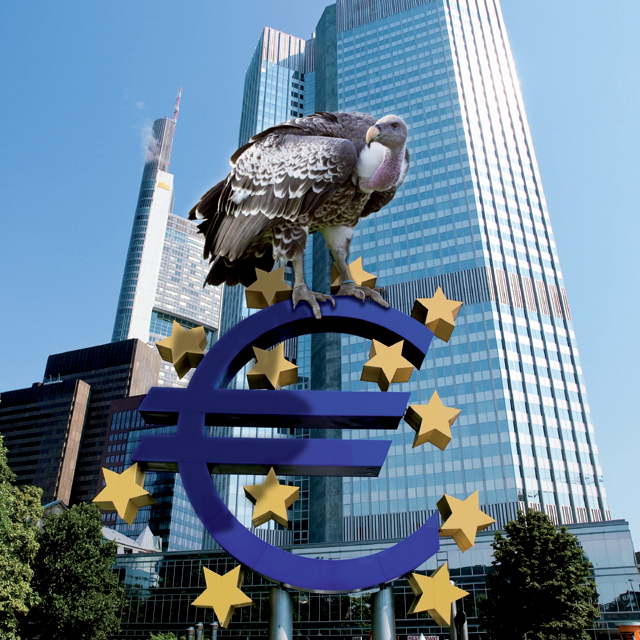 The Belgian law is currently being challenged by vulture fund NML Capital in the Belgian constitutional court. The French law’s innovations include giving a four-year time frame over which negotiations should happen before a creditor can try to seize assets, and more importantly enforces a debt restructuring accepted by a super-majority of creditors on any holdouts. Its weaknesses include that it only applies to governments in the global South, and only applies if the creditor bought the debt close to or after a default. 3) The default was less than four years ago, or a restructuring of the debt has been accepted by at least 66% of holders of that type of debt.